and members of the American Academy of Sleep Medicine and Welltrinsic. We have a home sleep study program and use a local sleep center to do more extensive sleep testing. Our patients have 1:1 appointments with our technician who finds the best fitting mask for you and helps you trouble shoot any CPAP issues that arise. I’ve gained many, many more active years to my life. “I want to personally thank you for the excellent service and attention to detail you provide me both during my initial visit and now during my follow up visits. Also I owe your therapist a big shout out for consistently going above and beyond and exceeding expectations. He is truly an asset to your office and I hope you never let him leave. 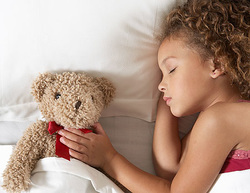 Children can manifest a variety of sleep problems, including night terrors, bed-wetting, sleep walking, restless legs, teeth grinding and problems with attention and learning. These problems may impact the child's development, so it is important to obtain a thorough evaluation. Sleep disordered breathing in Women may manifest differently than in men. Women tend to have less sleepiness, but rather have other symptoms such as morning headaches, restless legs or leg cramps, night sweats, chronic pain and night time urination.